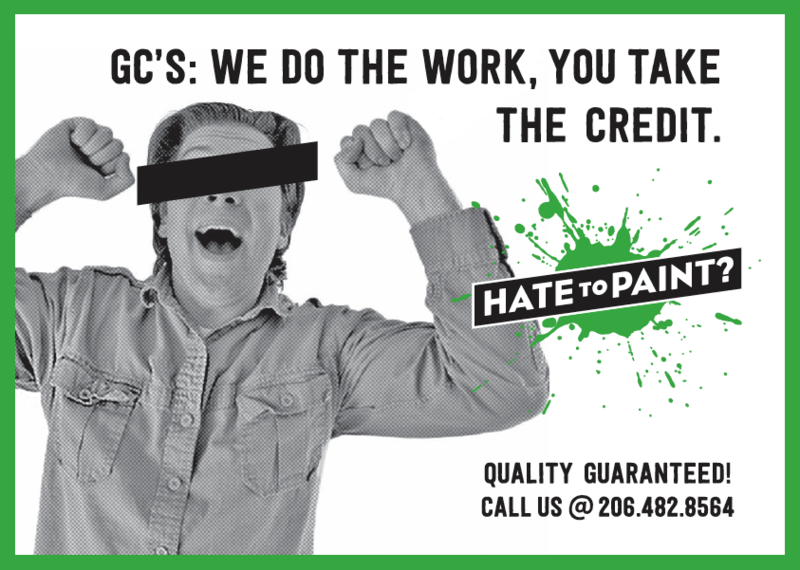 Yeah, we do too. 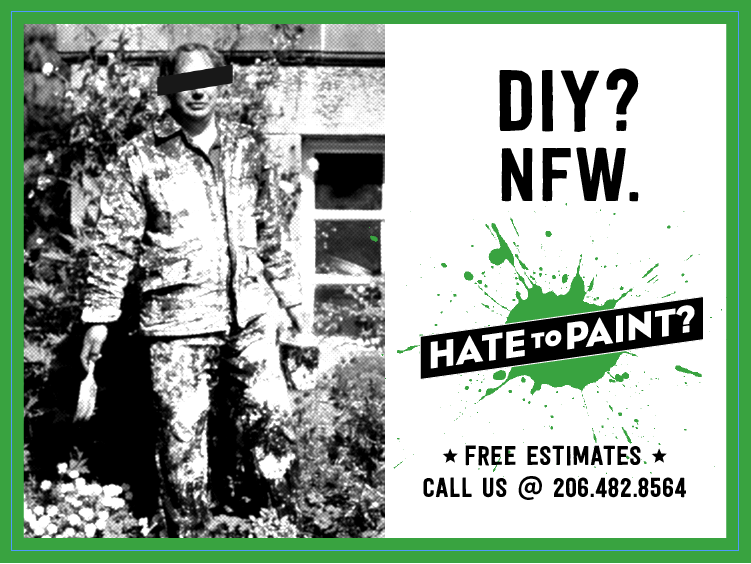 Which is not necessarily a badge of honor in today’s DIY culture. 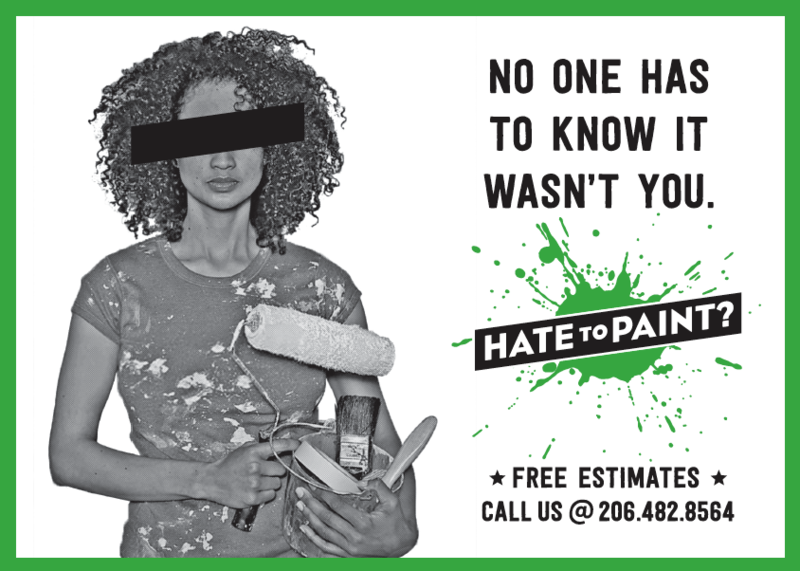 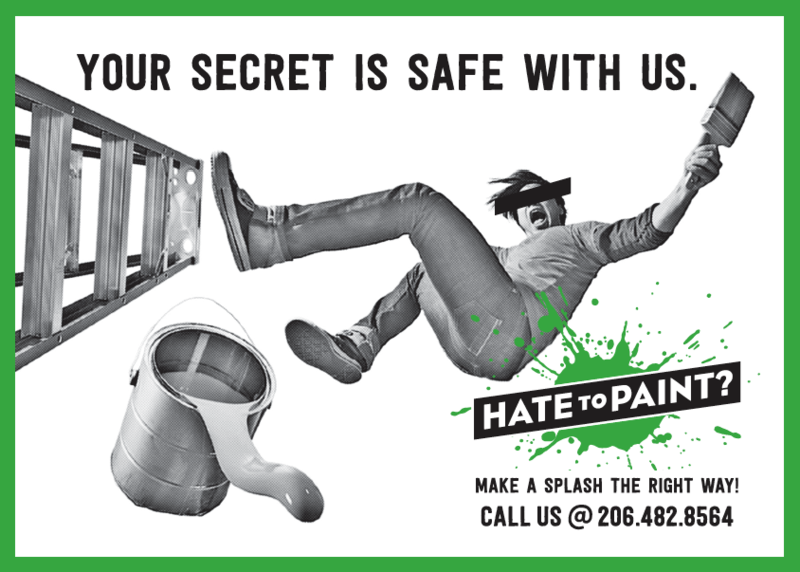 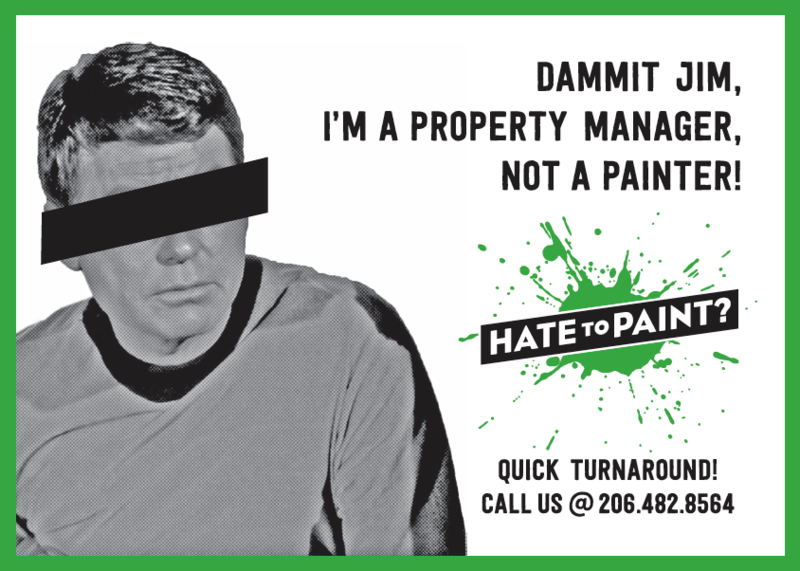 This ironic name for a local painting company allowed us not only to create a super fun identity, but to also have fun with a series of postcard mailers using a logo element to mask the identities –and save the reputations– of those who also hate to paint.